We will have many community service opportunities throughout the year for you to get involved with! 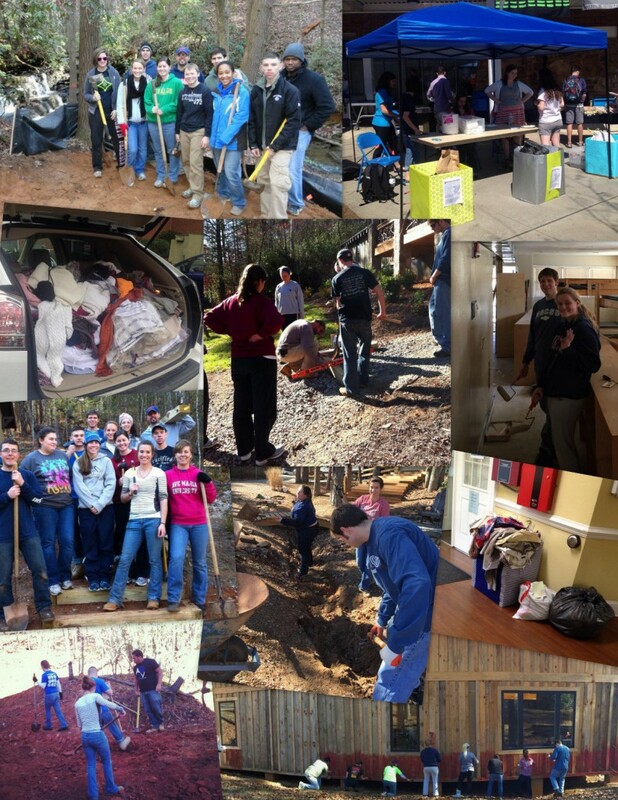 Whether they’re food or clothing drives on campus, service projects within our community, or work retreats at the nearby Life Teen camps, Hidden Lake and Covecrest, there will be plenty of ways for you to serve! If this is something you are passionate about and would like to help in organizing an event, let us know! Want to get involved? Contact Bobbi Harrill for more information, bobbi1759@yahoo.com.